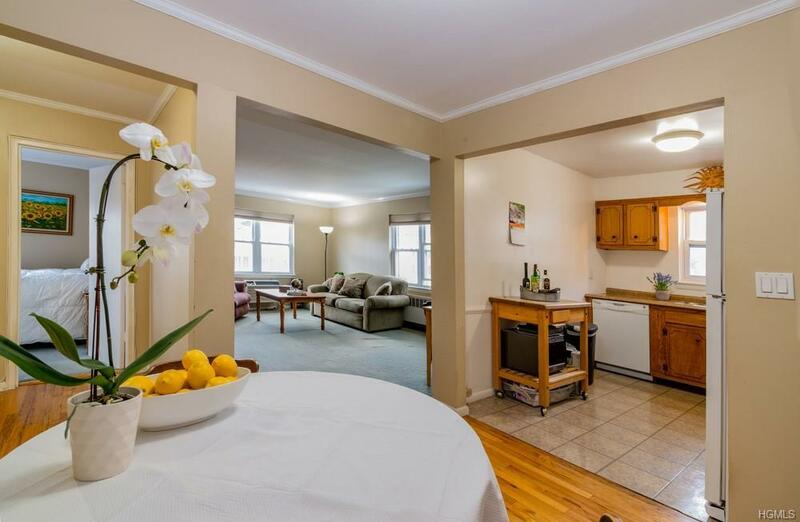 Move right in to this bright, spacious 2-bedroom unit in desirable Highland Terrace. Close to train, dining, and shopping.Assigned parking spot is conveniently located. Waiting list for a garage parking spot. Quiet, tranquil setting withaccess to the 26-mile Old Croton Aqueduct Trail. Pets welcome. Heat, hot water, and taxes included in monthlymaintenance. Listing courtesy of Sonia D. Tito of Five Corners Properties Inc.